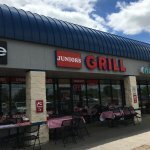 Been to Junior’s several times and it never disappoints. 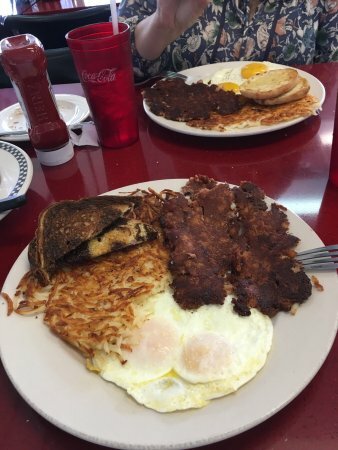 Great service and satisfying breakfast food. 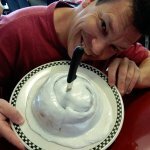 Best diner food I’ve had since I’ve moved here! Try it out, fast and polite service and great food! I go to diners for breakfast food but my friend got a chicken burger on a pretzel bun that was delicious as well! 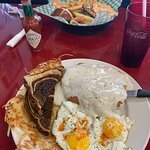 Finally found a breakfast place! 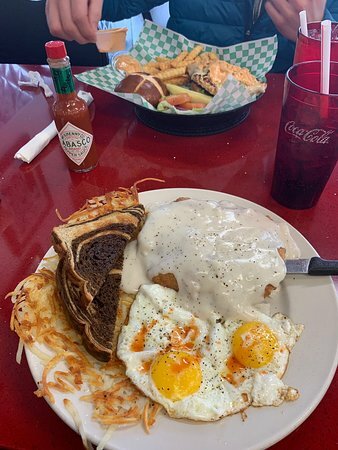 We have been looking for a "regular" place for weekend breakfasts. Looks like we finally found it. 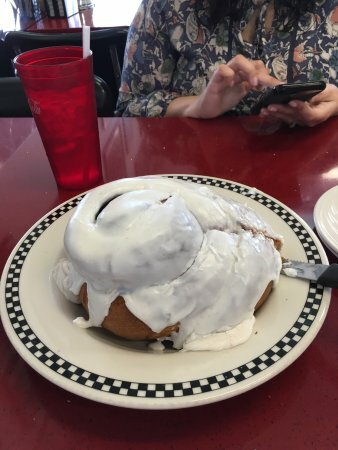 Not only really great food, but huge portions. The staff are very friendly and they are attentive. Prices are reasonable. First time at this place. Good breakfast, reasonably priced with friendly service. Very comparable to Ze’s, also in Eagan. Food was a little greasy and none of the line cooks wore gloves. I think they should wear gloves for health reasons. May be it is not required in Eagan. 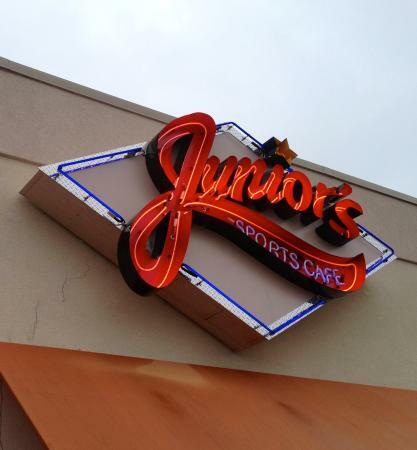 Get quick answers from Junior's Cafe & Grill staff and past visitors.